Sports cars, revered by enthusiasts and viewed as risks by car insurance agencies. Love or hate them, sports cars are certainly popular in car communities. 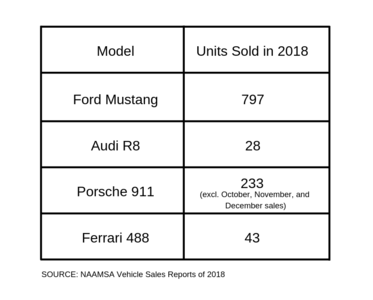 It was a rollercoaster year for car sales in 2018. With new models replacing older ones, interesting concepts introduced, and old legends redesigned, the world was treated to an exciting year filled with fast cars. While vehicle trends may change, one car remains consistently on the top-sellers list through every decade. The battle for supremacy was never in contention last year, with one sports car speeding ahead of the rest at an astonishing pace. Let’s put our hands together for South Africa’s best-selling sports car of 2018, the Ford Mustang. How Popular Is the Mustang? Pop culture references like Gone in 60 Seconds, the Shelby Mustang, Mustang Sally, and Steve McQueen, have all helped make the Mustang relevant in modern culture. The Mustang is so popular, Ford announced in 2018 that it was building its 10 millionth Mustang model. An astonishing figure for the two-door sports car. Apart from the iconic status it has achieved through popular culture, the Mustang is a best-seller because it is a highly affordable sports car. Built to be accessible to the masses, it is the blue collar, get-up-and-go, ‘stick it to the man’ sports car for the everyday person – a big thorn in the side of wealthy elitists. The powerful stallion can keep pace with cars double its price, which made it a regular in the drag racing community. Designed in Dearborn, Michigan, US, the Ford Mustang was originally created in 1962 as a concept car and put into production two years later. At its launch, it immediately took its place as the alternative to the pricier Chevrolet Corvette Stingray and Jaguar E-Type. The 1964 Mustang launched with an entry 2.8L V6 engine and the powerful 4.7L V8 engine, along with a three/four-speed manual or three-speed automatic gearbox. 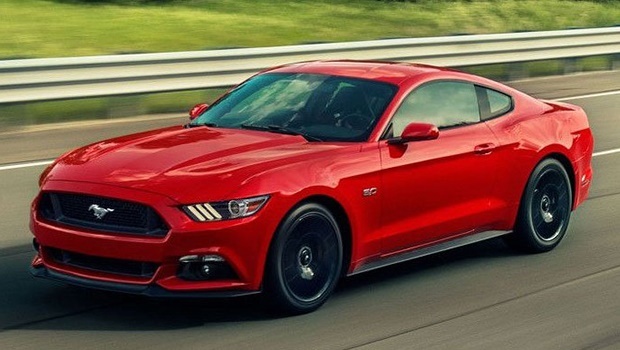 The modern Ford Mustang is available with a V8 as well as a controversial 2.3L four-cylinder EcoBoost engine. The 2018 2.3 Ford Mustang retails from R812,700. How do you feel about the Ford Mustang? Do you see yourself cruising at the wheel of one across the Northern Cape, or do you prefer your cars to have a little less American muscle? Whichever way you feel about it, it looks like the Mustang is going to remain on the top-sellers list for a long time. Prevent anything from putting a damper on your road trip this summer with these 5 timeless car hacks.